- Saudi Railways Company opened the Northern Line last year, Currently the train runs in between Riyadh to Hail via Qassim and Majmaah. 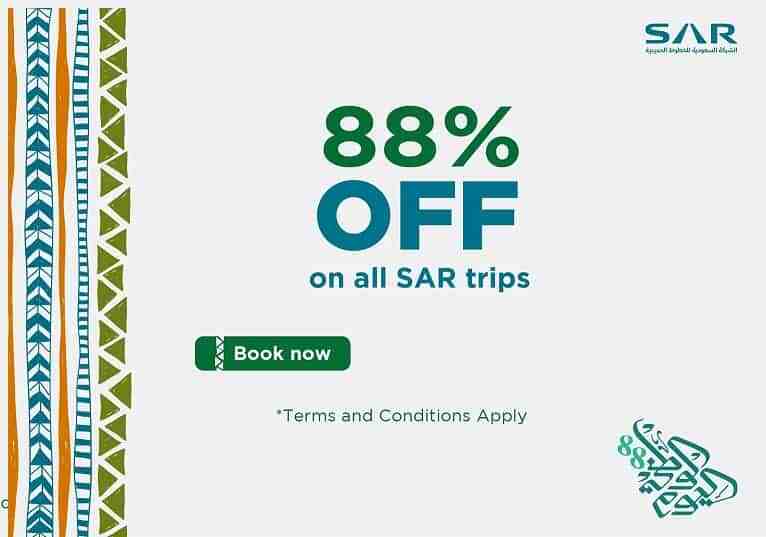 - The 88% discount will be automatically applied to the return ticket prices on all advance round trips in Economy Class purchased on Saudi National Day via our website or mobile app and applies to all passenger types (adult, child, student and disabled) on all journeys with SAR. - For more details read "Saudi Railway Company 88th Saudi National Day Offer".